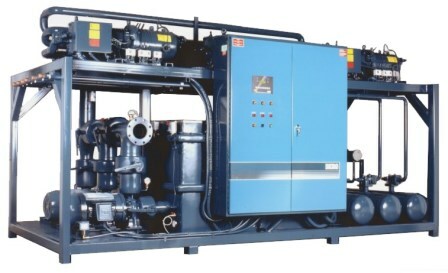 Berg industrial indoor air cooled refrigeration units have a choice of semi-hermetic refrigeration compressors, scroll refrigeration compressors or screw refrigeration compressors with a double pump tank mounted with the chiller module, plus the advantage of being able to reclaim waste heat. 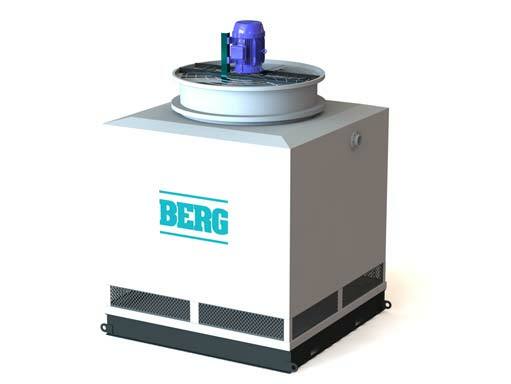 All Berg industrial refrigeration units are fully tested under actual load conditions before being shipped. 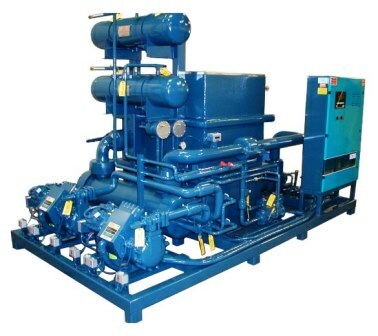 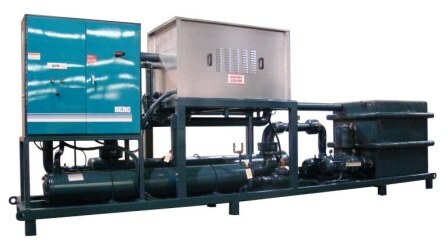 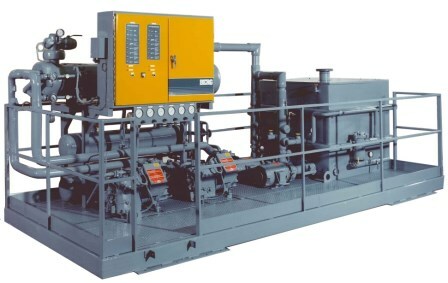 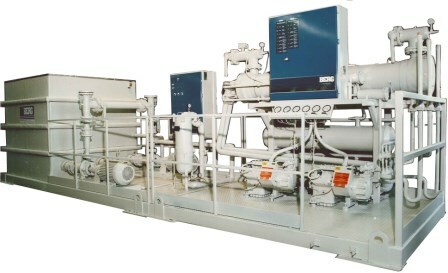 The Berg air cooled package chillers are recommended for industrial applications with clean air, heat reclaim is beneficial, and an integrated pumping system is required. 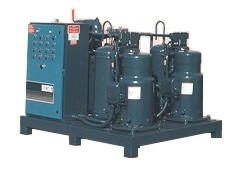 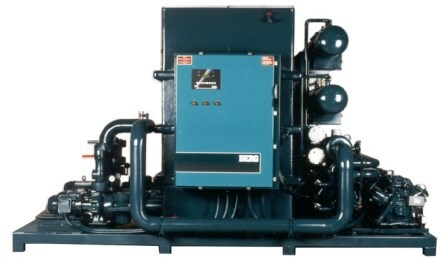 These units are part of Berg’s complete line of packaged industrial chillers. 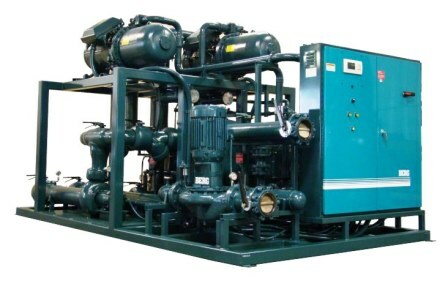 They are self contained and include both a liquid chiller and a double pump tank system for a complete industrial cooling solution. 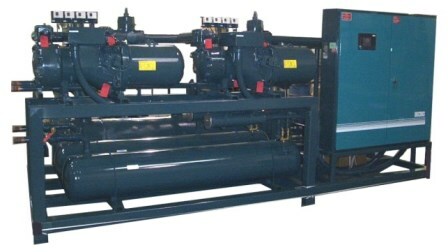 This chiller comes pre-piped and pre-wired, and requires a minimum of installation effort and only occupies a small amount of floor space.